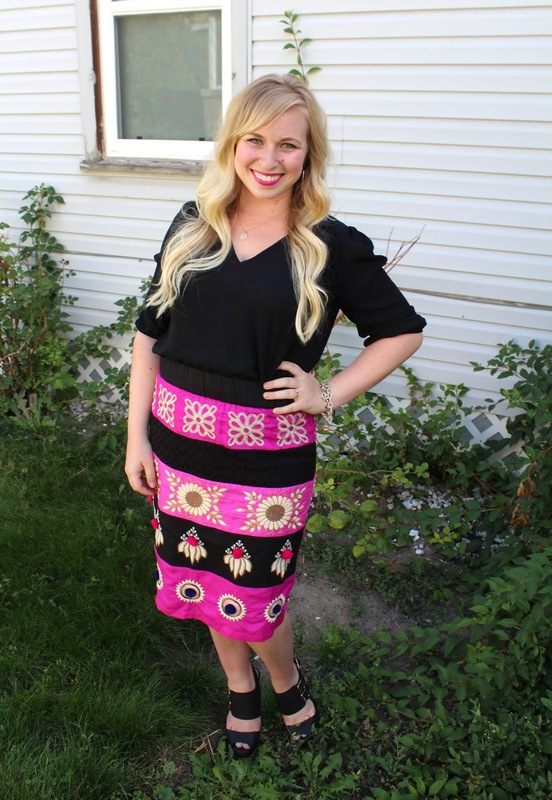 That's such a fun and bright outfit for church, really sweet look! 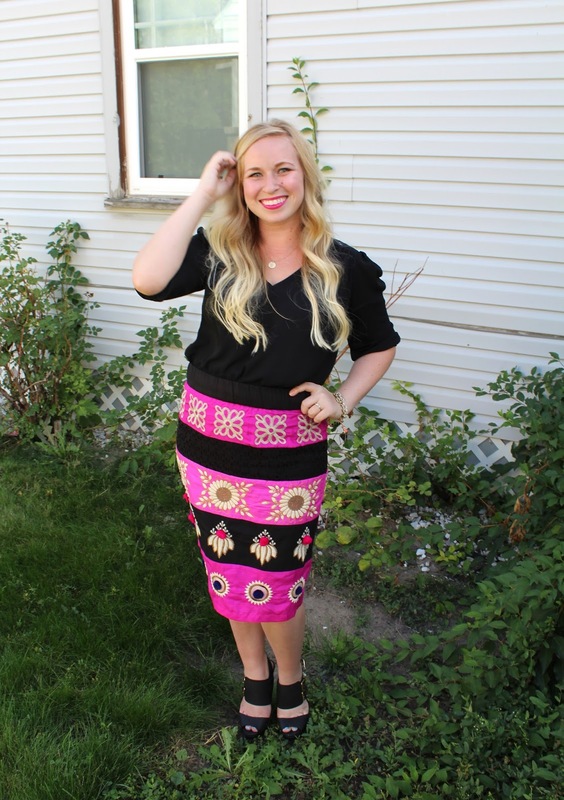 Love the funky patterns on the skirt - looks amazing on you and your hair!! I just attempted to ombre mine and lets just say...... I have turned orange! Ooops. Yours looks awesome. Mind if I show a hairstylist today? I need to fix my catastrophe!